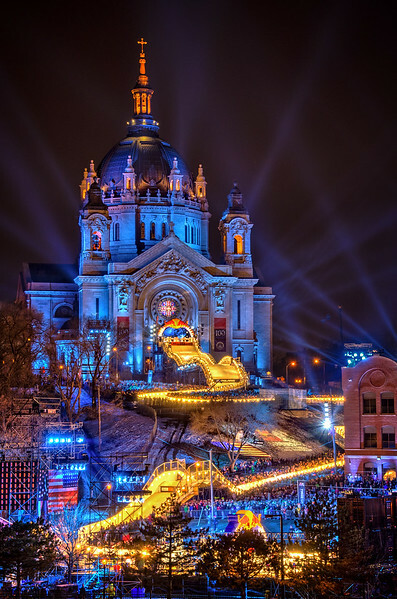 The track for the Red Bull crashed ice event emerges from the front of the Cathedral of St. Paul. When ordering this print choose 4x6, 8x12, 12x18 or 16x 24 etc. Be aware of cropping.